Gesture and Instrument met one crazy night on a blind date set up by their friends. It was love at first touch. They had a child and named it Gestrument. Gestrument grew with the best attributes of its parents into the perfect combination. Alright, enough of that. You get the picture. Gestrument is a new MIDI controller and instrument created by Jesper Nordin and Jonatan Liljedahl. Designed for ease of use to comfortably perform a multitude of musical styles, Gestrument delights the senses. 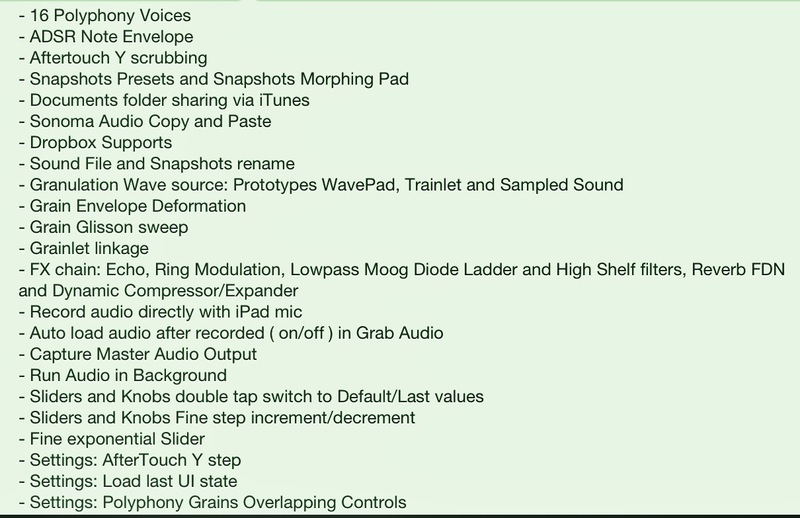 Controlling other iOS music apps via virtual MIDI is, as it should be, a simple process. Simply put, you just load another synth, enable its background audio and MIDI out, wallah, you’re in business. Gestrument just knows what to do. You can expect that further MIDI development is underway. Gestrument is shipped with its own synth and dozens of great preset sounds, assignable to 8 instrument banks. These can be played simultaneously or in any combination along with whatever is being controlled in the background. Tap the instruments 1-8 on or off on the fly. Some pretty interesting combinations are at the ready awaiting discovery. 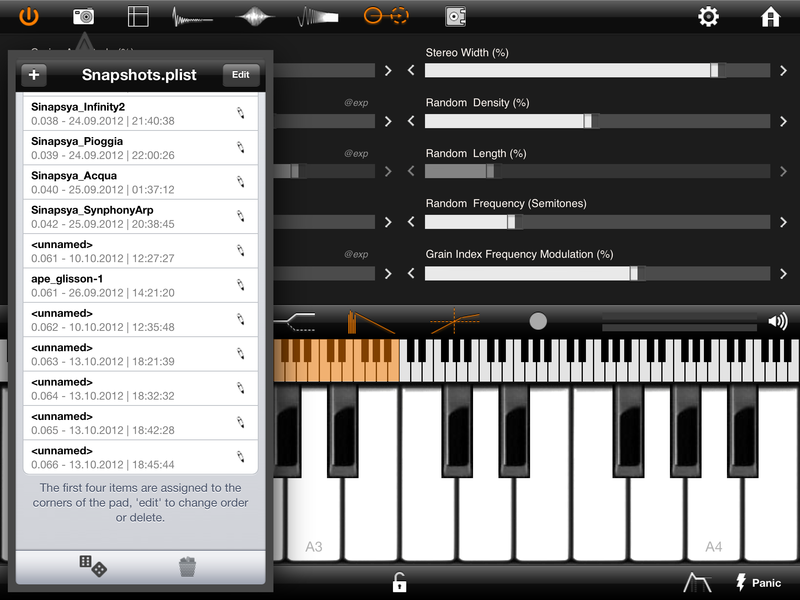 Each instrument can have its own settings, such as pitch, note length, range etc. A nice reverb with 3 quality settings can be applied to the overall mix. It would be nice if each instrument could have its own FX setting, but for now its global. All On or all off. Playing Gestrument is intuitive and uncomplicated. Your iPad screen is the whole playing surface. It’s a nice use of screen space without waste. One finger controls the instruments, the other controls selectable parameters (Like pulse, pitch, scale morphing, and rhythm) by dragging away and angling from the first. It’s a snap. Depending on where you touch the screen and how you combine the second touch will impact the sounds the instrument makes. It’s a very clean and expressive way to create music. It’s easy for anyone to start making great music right away. Gestrument also has just the right amount of options for the experienced musicians who desire a greater amount of control. Although a little light on programmable options now, further development will surely add more complex options as Gestrument grows. The developers are open to user feedback. So if you want something, just ask them. You may get it. Visit HERE for more on Gestrument from its creators. It would be really nice to see some more gesture, or multi-touch controls. As is, the multi-touch is limited to 2 fingers. It’s all in how you combine the movements. It may sound like that’s not much, but a lot can be done with some creative use in how you play it. Recording and playback looping are available. AudioCopy and direct link to AudioShare are also included. Gestruments recorder however doesn’t seem to record MIDI controlled sounds. You’ll have to use the record function from the other app for that. I have found Gestrument to be a very pleasant app. It’s a synch to use, and sounds great. This is a quality instrument and is highly stable. 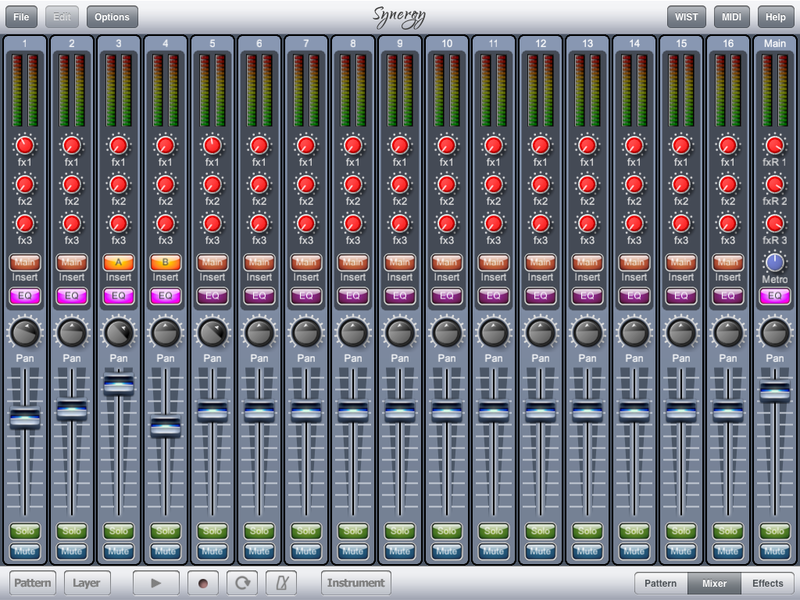 It’s not crashed on me once even while playing all 8 instruments and controlling the two synths from Magellan. This is the chocolate and peanut butter of gesture and instrument. Yum. 4 stars Recommended. Buy Gestrument HERE at iTunes. EchoPad V1.4.8 Will arrive with a whole new set of features, improvements, and tools. 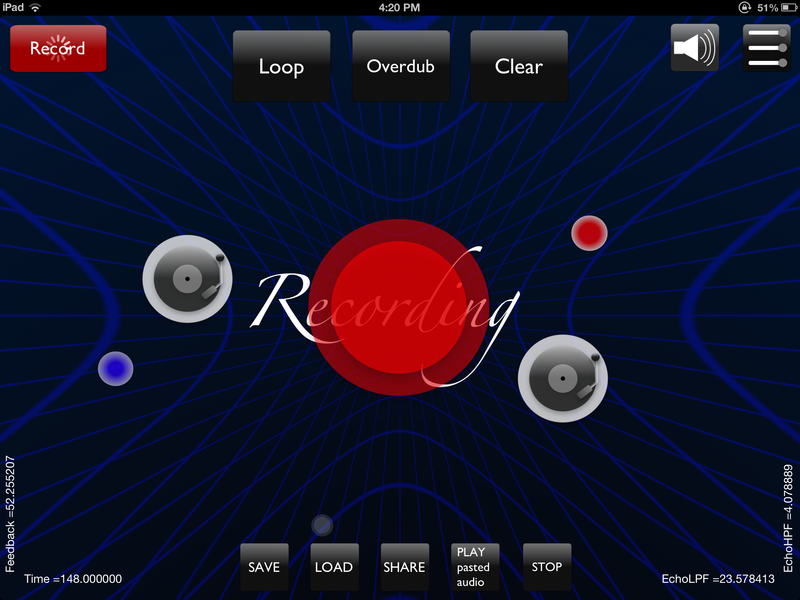 I have had the pleasure of beta testing this app and watch it grow into what’s become a very capable Echo effects app. It started out great, but this new version is pretty much a whole new app. The “Meazzi Echomatic 2” inspired multi-tap function of up to 6 individual delay taps! Individual Multi-Tap delay controls for Time and Volume. Manual control of master delay times with a max up to 3 seconds. Tape Hiss and Tone Sliders. Added. Tap, Sync and manual BPM controls. 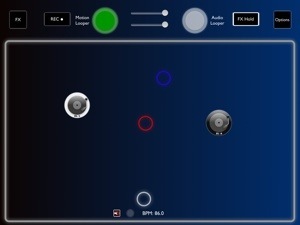 For guitarists a new summed mono output for guitarists (tap the WHITE control ring to toggle summed mono output on/off). Lots of cool new features. The Multi-Taps are a real blast. Great for creating some crazy effects and or beats. I learned of the beats by accident while experimenting with Multi-Taps. 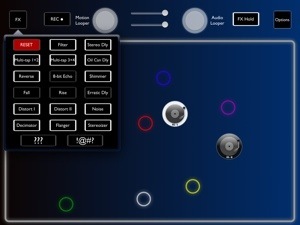 The AudioBus control panel is loaded with options. Something we see little of with most FX apps. This really makes things much easier when using EchoPad in the FX slot. 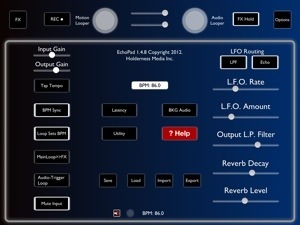 Easily select presets 1&2, mute, record etc. among others. There’s only so much room on the Audiobus remote, and some may think its too much, but I really appreciate the additional controls. Less time spent swapping back and forth between apps. All FX apps should take note. EchoPad has really matured even further. Not to suggest it wasn’t mature to begin with but, clearly a lot of careful development has been done to add to its stunning capabilities. A lot of which came from end users input. Not just features, bug fixes, and stability but also its appearance has seen lots of polish. At the end of this updated, and the below original review are some new screen shots showing what’s new. 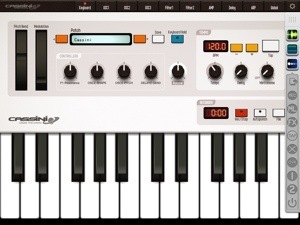 Take a look at the Cassini Synth shot with EchoPads Audiobus remote on the right side. 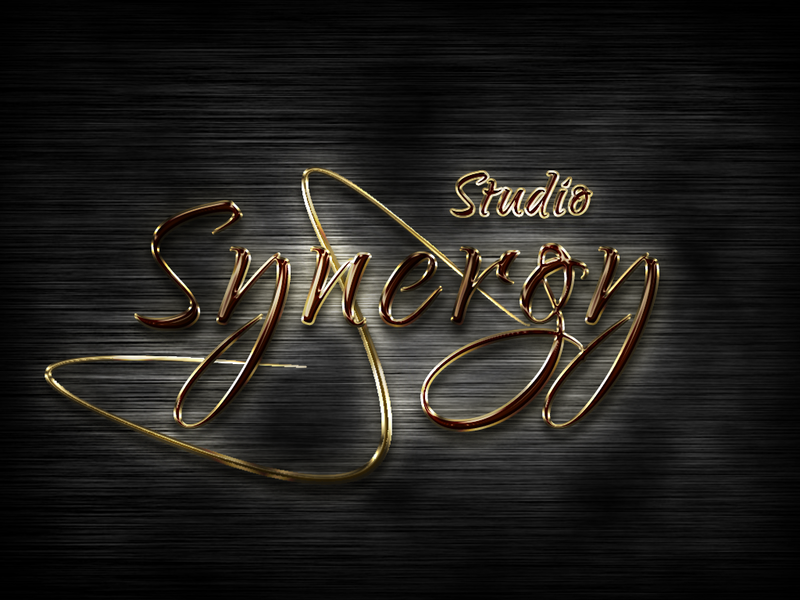 With more and more stand alone FX apps coming lately its easy to forget about the existing ones. Don’t make the mistake of forgetting EchoPad. If you’ve enjoyed it as I have since its initial launch you’ll love what’s coming up. If for some reason you passed on this fine app, now would be a great time to take another look. 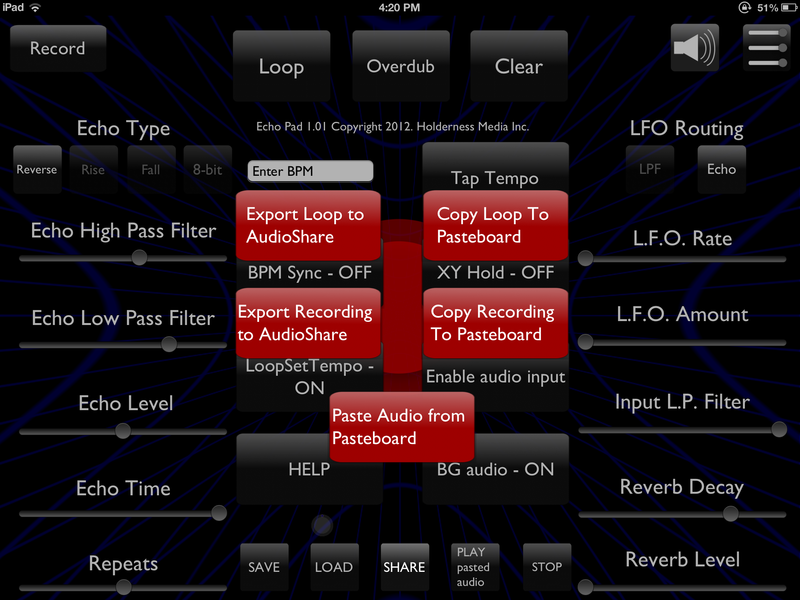 Echo Pad offers an array of creative options to create some unique delay effects in real-time on your iOS device. Initially I didn’t really consider just how useful an app like this could be. 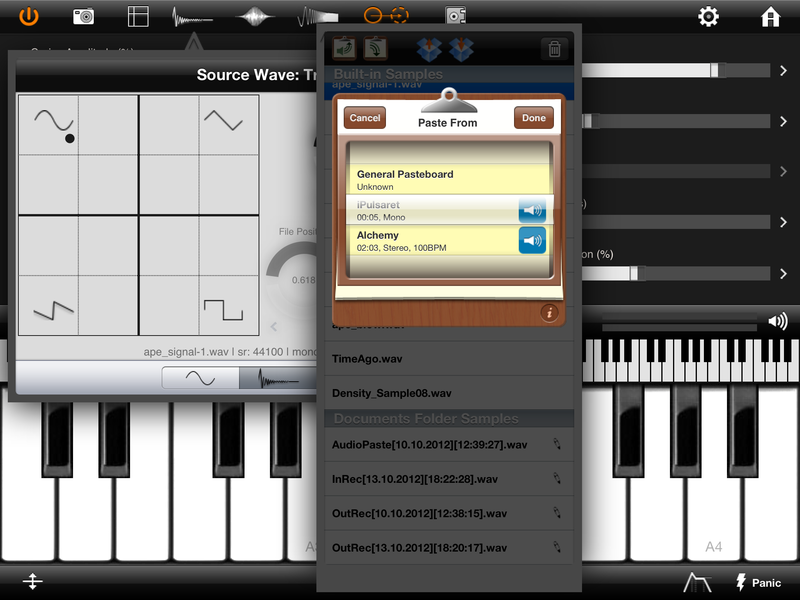 Nearly all iOS music apps have some form of delay, so why buy a separate unit? The answer for me is that this provides a dedicated environment to apply layers of sound specific to an echo, or delay effect. It’s not just one of a collection of effects, everything here is all about echos. Your entire device screen is a X/Y playground to apply the desired effect. Record audio with the built-in device mic, iRig Mic, as well as several professional USB audio interfaces. Import and export via audio copy/paste, direct link to AudioShare, and iTunes File Share rounds out the many sharing options. Getting started with Echo Pad is a snap. It’s a clean interface and very intuitive. If you find a need for more info, visit Holderness Media and you will find links to several helpful video tutorials. With 5 delay types; Tape/analog echo, 8-Bit, Rise, Fall, and Reverse you’ll have no shortage of unique delay effects. Add some LFO to the delay time to make cool modulated echoes. All the pieces can be individually controlled such as delay time, feedback, echo high and low pass filter via simple left to right sliders. Additionally there are slider controls for reverb decay and level. Layer on the delays, and modulations with the sound on sound looper quick and easy. Along with the main looper are two “Scratch Loopers”. You control these two virtual turn tables with the same touch and drag input on the screen impacting audio playbacks speed and direction. It makes a neat scratching effect, and routes back through the FX. You can imagine there are a lot of possibilities to make some very nice delays. The Fall echo type is a new addition ( along with the scratch loopers ) that makes a cascading echo that drops in pitch with each echo. Opposite of that is Rise echo, and just as cool. This is not your run of the mill delay found in many of the apps effects suites. There is nothing wrong with those, but this is so deep with specialized delays you wont find anywhere else. I have been really happy with the results after many hours getting to know Echo Pad. I’ve come to appreciate its great use of multi-touch (with more gestures in the pipe line) control promoting a very hands on approach to crafting effects however you wish. You just wont find this much control over your delay effects anywhere else. I cant help but wonder if this might start off a new type of specialized effects apps? Maybe a separate reverb app? I am sure many people have an opinion on this, what would you like to see? 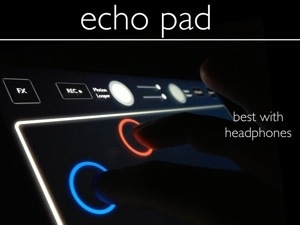 Echo Pad is so innovative all around. I never knew just how much I needed this until I had it in my hands. I recommend giving it a try. apeSoft is well-known for its Density/Pulsaret Granular Synthesis programs for Mac/Windows. Having happily experienced their first entry into iOS with iDensity, it took little for my ears to perk up at the mention of iPulsaret joining the club. iPulsaret is an audio sandbox where you can manipulate all the time-domain varieties of granular synthesis in real-time. Huh? Basically, you can take your music, audio files, and audio recordings and create some great detailed textures from subtle to wildly dramatic effects. 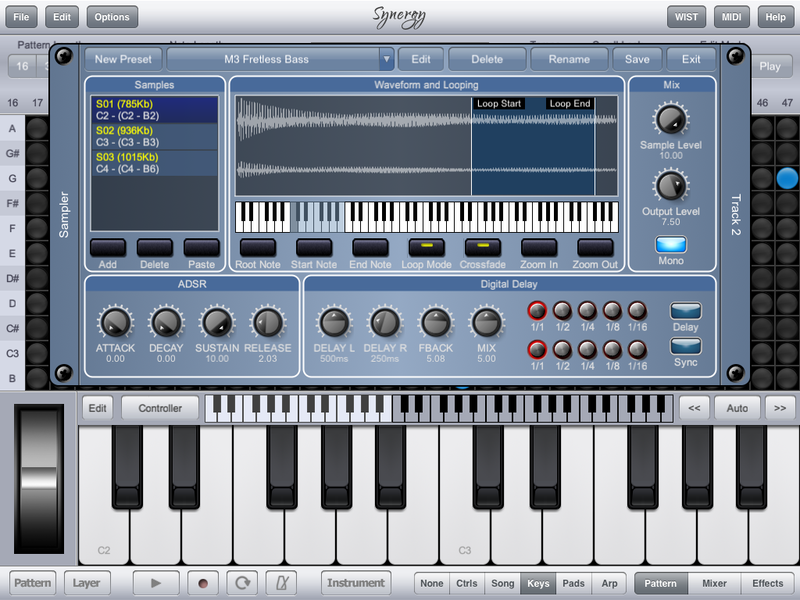 The interface is very familiar to those who have had the pleasure of using iDensity. Everything is right there on the screen. I found it to be similar in appearance, and extremely user-friendly. No confusing menus, or hidden functions that can’t be found intuitively. You can see from the screenshots various icons representing the many effects & tools, as well as the slider controls for the primary grain manipulations. The many effects icons are not obvious at first glance as they are not labeled, but after a brief period of getting familiar with them, the waveform illustrations for each will make sense fast. Learning as you explore is always fun, especially here. As you go try taking “snapshots” ( just tap the camera icon ) as you progress with tweaking. They can be assigned manually but the first 4 snapshots are assigned by default to the snapshot pad. Bring up the snapshot pad (even to full screen) and a grid containing the 4 snapshots can be controlled by touch. Theres lots of math and complicated terms, but essentially moving from the center of each to and fro will control hundreds of parameters impacting what you play out on the keyboard. This is very cool! iPulsaret is clearly made to be easy to use and understand. It’s perfect for spontaneous use. Since it allows you to record using your iPads built-in mic, you’ll rarely miss a opportunity to capture some interesting audio anywhere you and your iPad happen to be. Of course you can use a separate mic like the iRig Mic, and that would be recommended over the built-in mic. Ive been experimenting a lot with iPulsaret to see what new things it will allow me to do. I’ve found it to be very stable, for one thing. It also is amazing for taking a simple, mundane sound and turning it into a new playable synth sound. It appears what really separates iPulsaret from iDensity is its more synth-ish where iDensity is more drone-like. They are different nonetheless in that iPulsaret can generate thousands of grains dynamically. This is quite different from traditional synths with fixed voices or oscillators. I suggest for a more comprehensive explanation of granular synthesis to click HERE for the full skinny. Complex, and beyond my technical understanding as granular synthesis may be, as an artist using the software myself I can say that iPulsaret is extremely well made. It fits in perfectly to my workflow offering a great many options to create unique sounds you wont hear anywhere. I’m sure anyone would agree iPulsaret is a highly capable, useful program. I havent had it crash, or fail at all. Getting started with the included library of samples leads the way to inspiring user creativity. 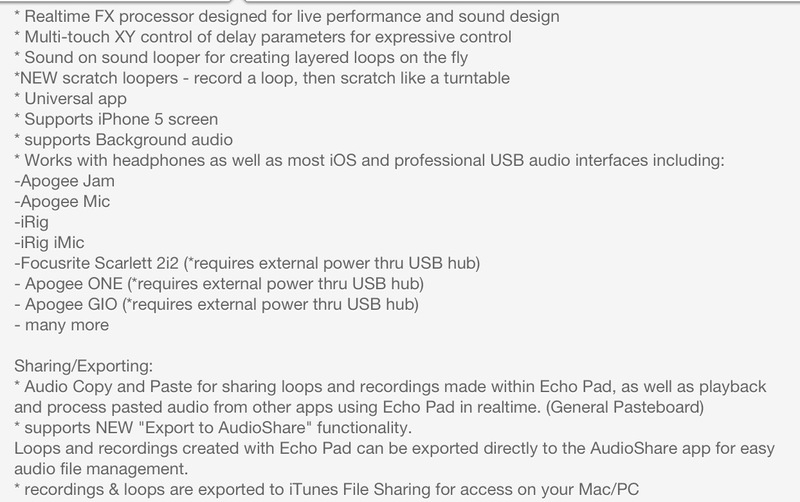 As I mentioned you can record directly with your iPad or other compatible microphone. Additionally you can easily add your own WAV, AIFF, files via iTunes File Share, Sonoma AudioCopy/Paste and Dropbox are also supported. iPulsaret plays well with others and can be run in the background. Saying “I dig iPulsaret” might be an understatement. 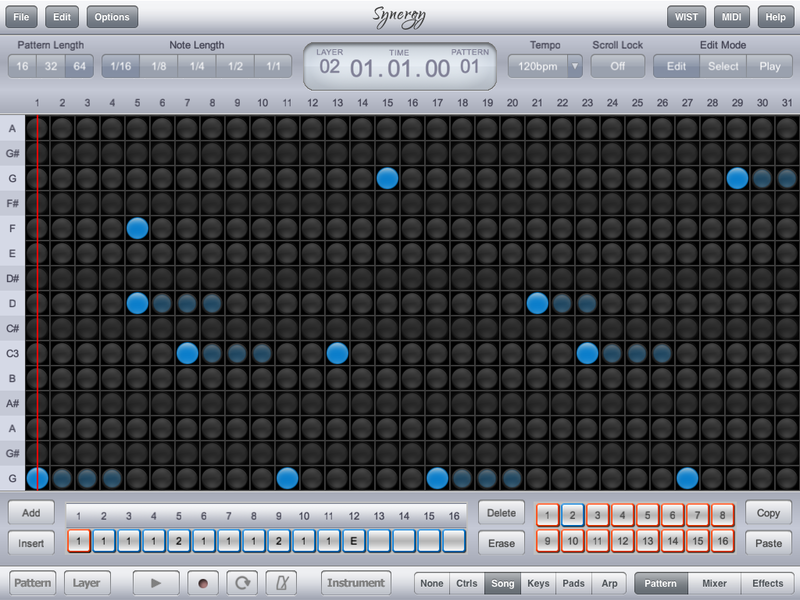 So far as granular synths go it has the greatest capabilities, and is very playable. They really put a lot into this making it very strong. The last update (1.0.3) increased its iOS compatibility back to iOS 5.1. 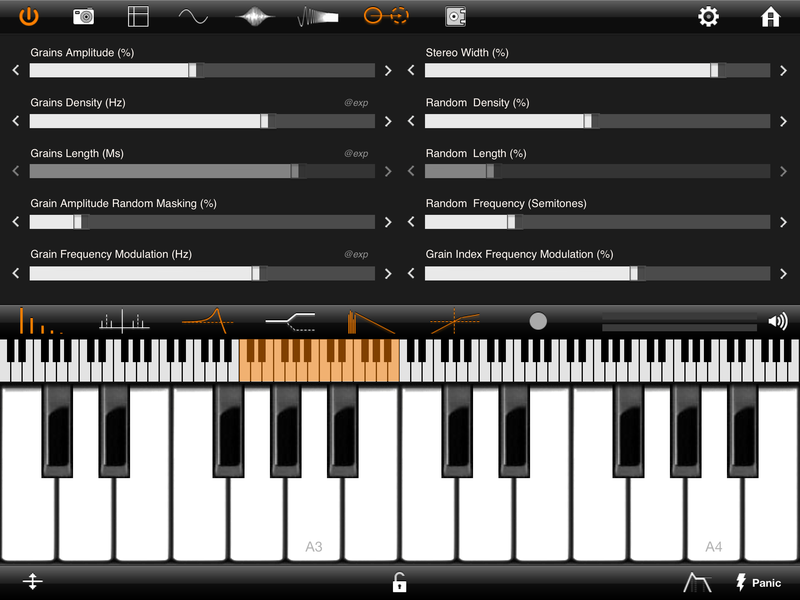 Also added in that update was MIDI in keyboard support with pitch bend. There weren’t many to begin with but the bugs were fixed, and some more improvements were made improving the UI and routing. I certainly recommend iPulsaret highly, a truly 5 star app. Buy iPulsaret in iTunes HERE and get grainy!